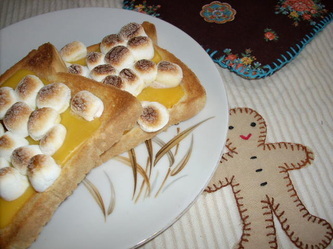 The names of the dish originate from 18th century Great Britain. 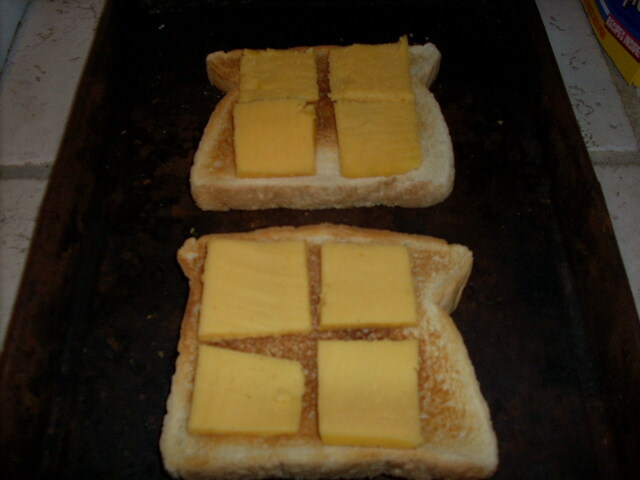 Welsh rarebit is typically made with Cheddar cheese, in contrast to the Continental European fondue which is classically Swiss cheeses. But, here in the United States we have our own name and version, which is typically called Cheese Toast. Nothing really fancy, just toast the bread, heap the cheese on top and broil to melt the cheese. 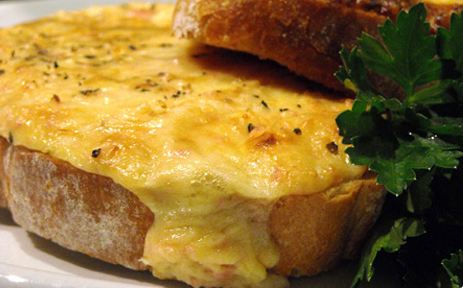 For a savory Welsh Rarebit, use your favorite cheeses, or cheese sauce over toasted bread. And serve with pickles, olives, or sliced tomatoes. The choices are endless! 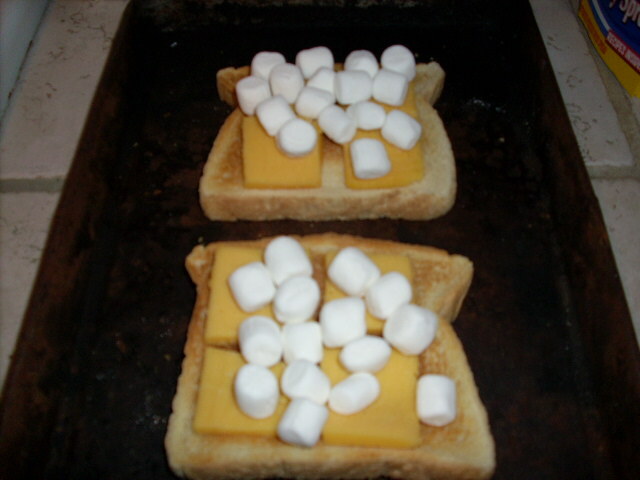 And a family favorite of ours, Marshmallow Cheese Toast, pictured below, has a little extra touch using mini-marshmallows on top of the cheese and broiled until the marshmallows are puffy and slightly brown.